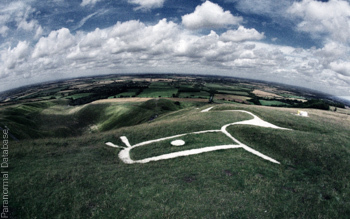 Further Comments: The famous white horse seen on the hill from the village is reported to leave once a year (or every one hundred years, depending on the story teller) to have its feet shod at the nearby Wayland's Smithy. Another local legend states that the horse isn't really a horse, but the dragon slain by St George on that very hill. Further Comments: Heard but not seen, a phantom coach occasionally crosses the bridge. Further Comments: This black and red coach is still drawn along the roads, pulled by four phantom horses. Further Comments: A nineteenth century coach and horses are said to still run along this stretch of road. Further Comments: Moving at breakneck speed, a phantom team of horses pulling a coach race across the bridge before vanishing on the other side. Further Comments: Walking her dog across the bridge, Amanda West was frozen with fear when the sound of horses passed her - with no horses to be seen. Without warning, she then heard a loud splash. Looking into the river below, the water was calm, but the sound of panicking horses could now be heard coming from below. She later found out that the original bridge had collapsed in 1836 and a team of horses pulling a cart had drowned. Further Comments: Said to be heard only during the day, phantom horses gallop across the common. In addition, reports of a phantom man have been frequent since the 1940s, appearing both on the common and in the church ruins. Further Comments: A coach pulled by a headless horse runs down Quay Lane on dark nights, believed to be driven by a former owner of Raydon Hall. Further Comments: Several ghosts have been reported here, including Caesar (and an accompanying army). Other people have reported an elderly man with a long white beard who moves between the trees, and the pounding hooves of invisible horses. Phantom druids (or the Devil himself, depending on the source) appear if you run around the fort seven times at midnight. Further Comments: Recorded by the local press, a man reported that his wife had seen a horse pass in front of the car in which she was travelling, and upon the creature was the bottom half of a rider - the figure was not visible above legs. The driver of the car did not spot anything. Further Comments: Seen galloping at the speed of an arrow, this horseman vanishes once he enters the dense woodland. Further Comments: Pulled by a team of four horses, a spectral coach haunts the area. Further Comments: A ghostly coach pulled by horses and driven by a headless coachman reportedly travels along this lane. Further Comments: A farmhand discovered a dog laying in the hay - he poked it with his pitchfork, causing the entity to vanish. The sound of a coach has also been heard as it stops by the front of the house, though nothing is seen. Further Comments: Burnt at the stake for having an affair with a monk, Maude wanders the hotel, which was once a convent. The eerie sounds of an invisible horse and coach moving around the courtyard have been reported by more than one visitor. Further Comments: The spirits here reportedly include voices that call out to witnesses over the nearby River Carey, and horsemen who gallop silently along. People have also reported pockets of cold air, and watching a white woman glide over the marsh, near where her lover was murdered by Royalists. On the anniversary of the battle, sounds of fighting have been heard. Further Comments: It was once said that a ghostly coach pulled by four horses and driven by a headless figure would pass through the village and vanish into the church wall. Further Comments: Two hunters reported seeing a locally known Captain riding his horse over the warren, even though several months had passed since the officer's death. Further Comments: This ghostly coach is pulled by a team of six grey horses. Further Comments: While staying in a house along this road, a witness heard the sound of a horse walking outside on the gravel - when they looked from the window, nothing could be seen. Further Comments: A former landowner in the area, Sir Laurence returned after dying and can be seen driving a coach pulled by four black horses. It is said that bad luck falls on any witnesses. Further Comments: A spectral horse and carriage pulls up the driveway, a woman climbs out, walking up to the door to be met by a long dead butler. A similar story says that Anne Boleyn travels in a coach along the roads in the area of the Hall around the same time of year. Further Comments: A driver spotted a white horse crossing the road ahead and commented to her passenger, who said she couldn't see anything. As the driver reached the spot the horse crossed, she realised there was nowhere the horse could have gone. Further Comments: A coffin has been spotted on the roadside here, though it disappears if looked at closely. Some believe it belongs to someone who committed suicide, denying them the right to be buried in a churchyard, being buried close to this spot instead. 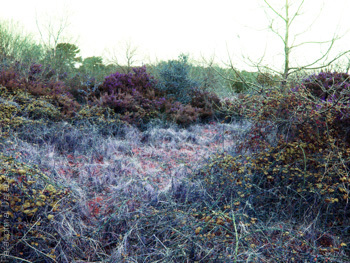 A phantom black horse is also said to haunt this area. Further Comments: The driverless phantom coach is said to contain Lady Alice Lisle, one of three locations where her ghost haunts. Though the coach and horses have not been seen for many years, it has been said that the sound of a carriage can still be heard.